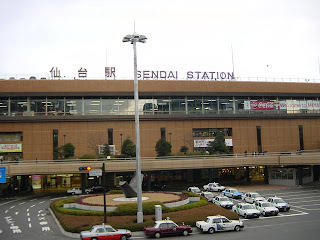 Sendai station was the hub of the town. It was where teens met after school and housewives met to go on shopping exursions or eat lunch with friends. 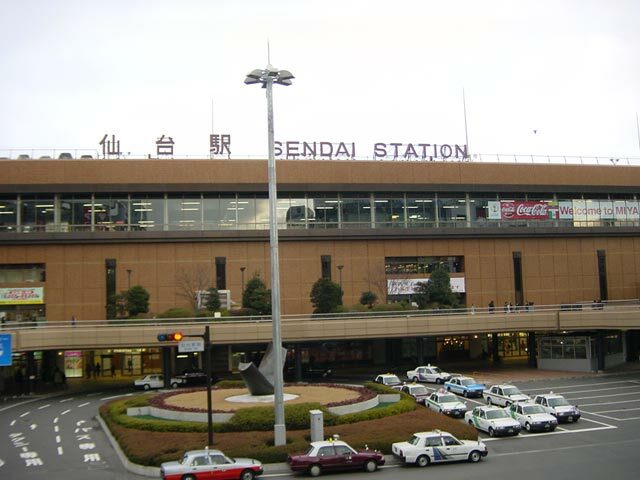 Some of the best restaurants in town could be found within Sendai station. It was a really lively, fashionable,colorful, active place with something always happening. The main lobby inside the station regularly showed art or craft exhibitions or had food fairs from other Asian countries or Europe. You could go and taste free samples from the stalls or be introduced to new cultures and crafts. Every vendor shouting out their wares with pride and animation. The stained glass window that runs along the front was probably the most famous meeting spot in town and from within the building, networks of local lines and bullet trains connected the biggest city in Tohoku to the rest of Japan. After March 11, things changed. There was a lot of damage to the front area of the station and nobody was allowed within several hundred feet of it. Inside, there was damage to restaurants and shops.The shinkansen bullet lines were badly damaged and buckled. Trains stopped halfway on tracks. Local lines too had structural damage and would take time to repair. I walked down to see how it was a week after the quake. It was sad to see such a lively place so dead and sad looking. Police had yellow taped the area and crumbling walls and roads were sectioned off with huge blue plastic sheets and signs saying "danger". Government officials in flourescent yellow vests stood at night with flashlights and redirected people traffic..still no cars on the road then as we didn't have gasolene for 3 weeks or more. Today I went back. It was amazing to see the progress! The station front has been rebuilt already and stores and shops inside are mainly re-opened. Although shinkansen trains are not operating just yet, local lines have been fixed and some are in use already. People are shopping and using facilities, escalators I see are brand new, shiny clean and moving perhaps a little slower than before :p In a bid to recover depressed spirits perhaps people are spending and restaurants that are open are full! Outside cars and taxis and motorcylists honk their horns and skillfully navigate the compact and narrow roads that maze their way around the station and give the place its wonderful character. The sun came out as I got on my bike to return home, and above helicopters were no longer pacing the sky and in their place the beloved kites that sendai is so famous for, have returned.